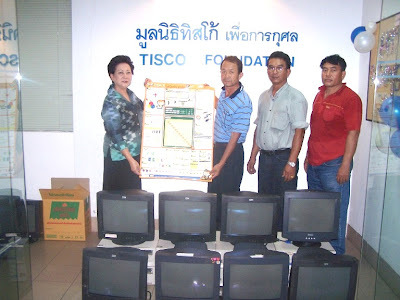 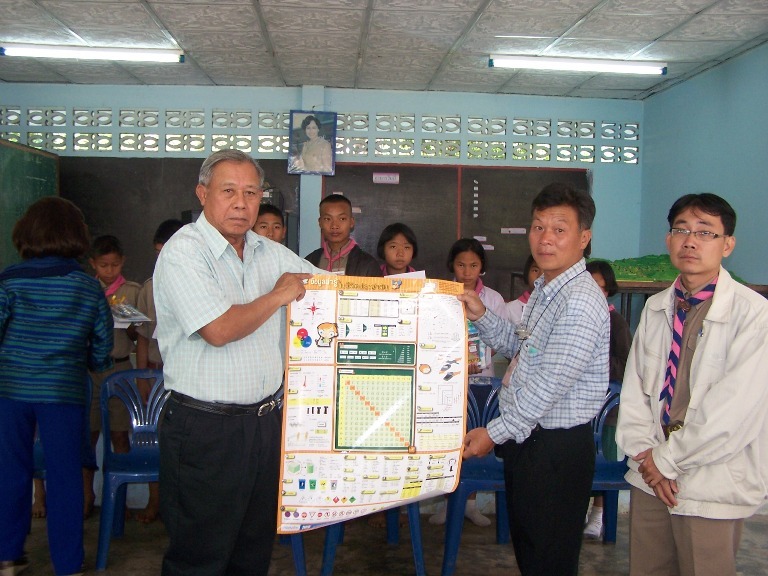 TISCO Foundation has donated 8 secondhand computers and daily knowledge posters to director and teachers of Baan Phonengam School, Roiet, on December 28, 2009. 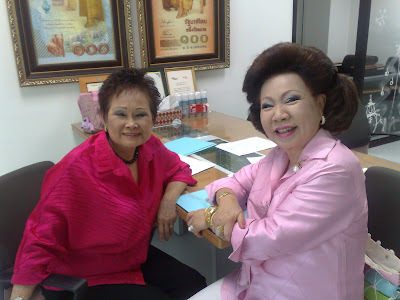 The Fourth TISCO Foundation Working Group Committee’s Meeting for the year 2009 was held on December 22, 2009. 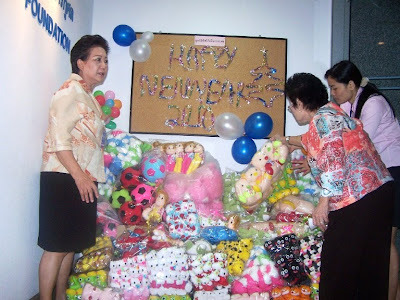 TISCO Foundation Staffs are preparing gifts for distribution to children from various schools in Bangkok and up-country on the occasion of children’s day on January 9, 2010. 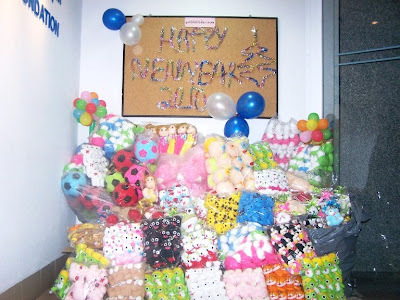 These gifts are donated by TISCO Bank Group staff. 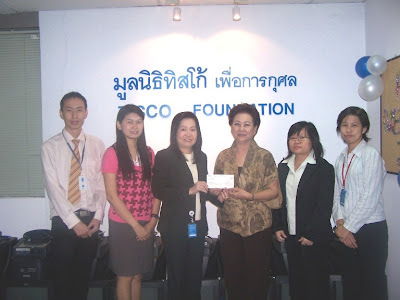 Khun Ladda Kulchatchai, Head of Custodian Service of TISCO Bank, presented a cheque to Khun Pattira Wattanawarangkul , Manager, for donation to TISCO Foundation on December 17, 2009. 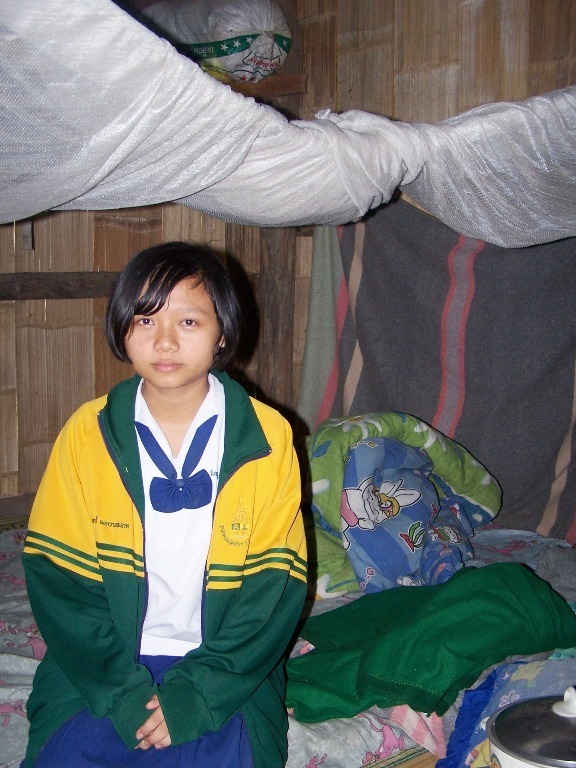 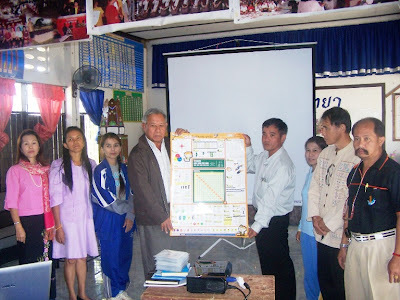 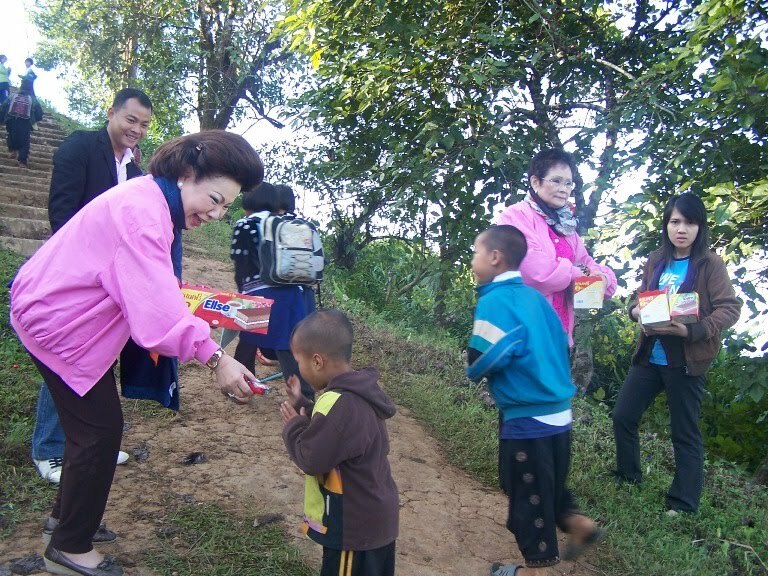 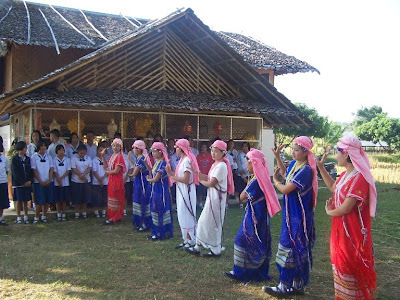 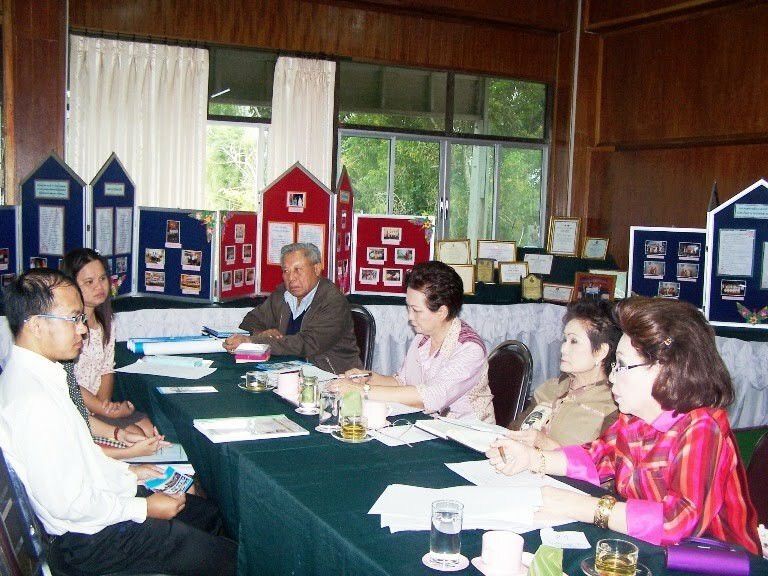 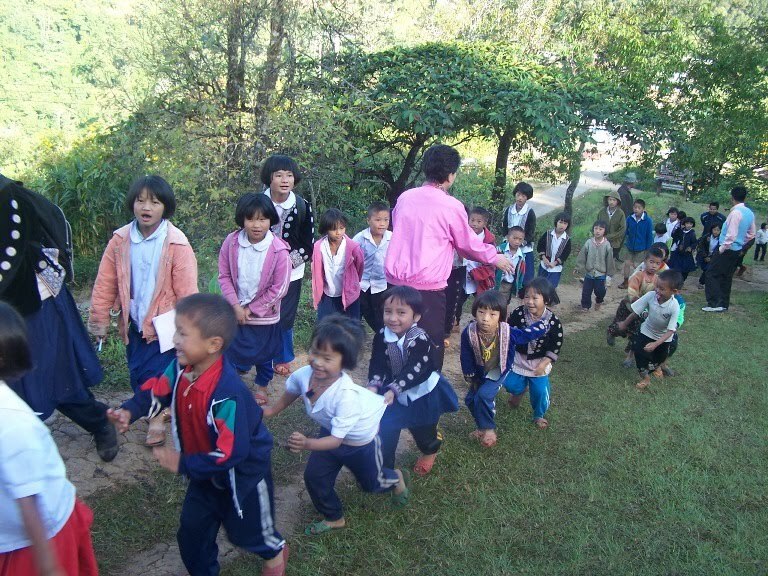 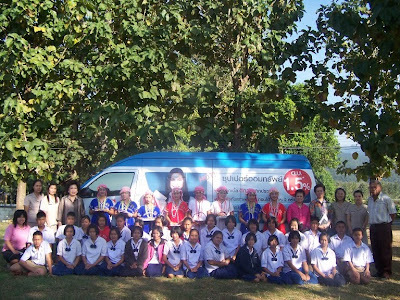 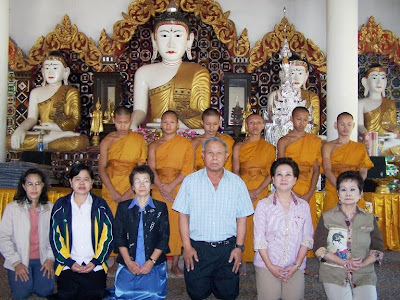 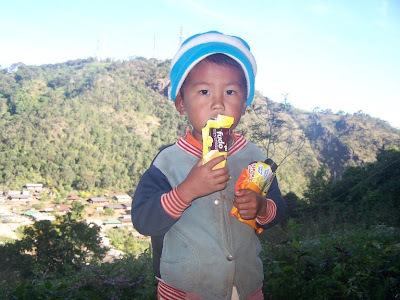 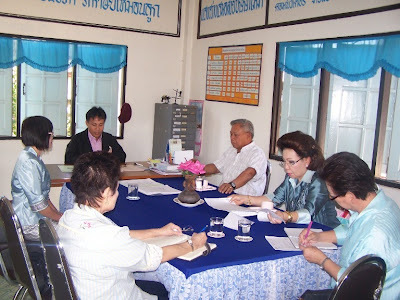 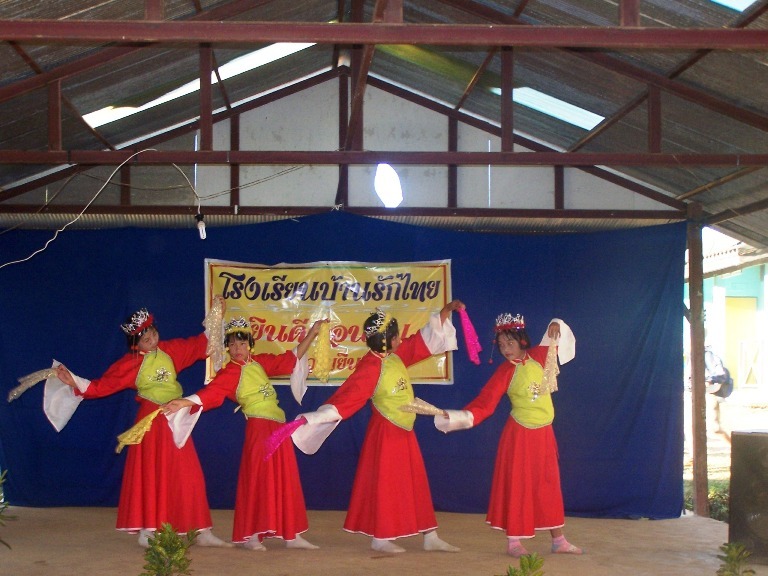 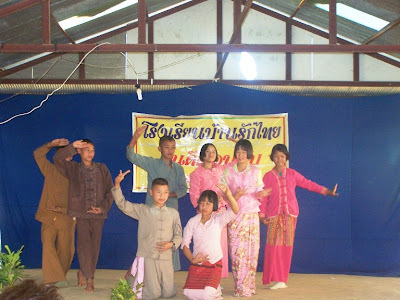 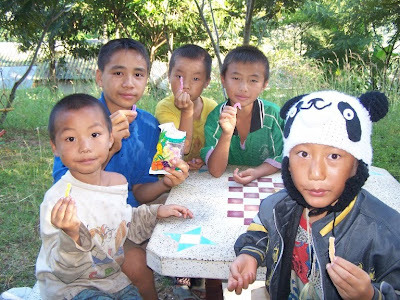 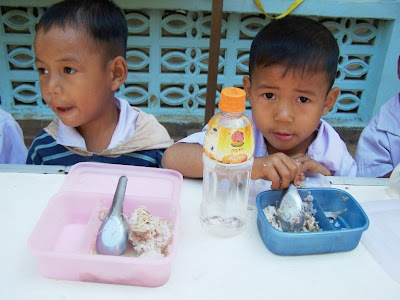 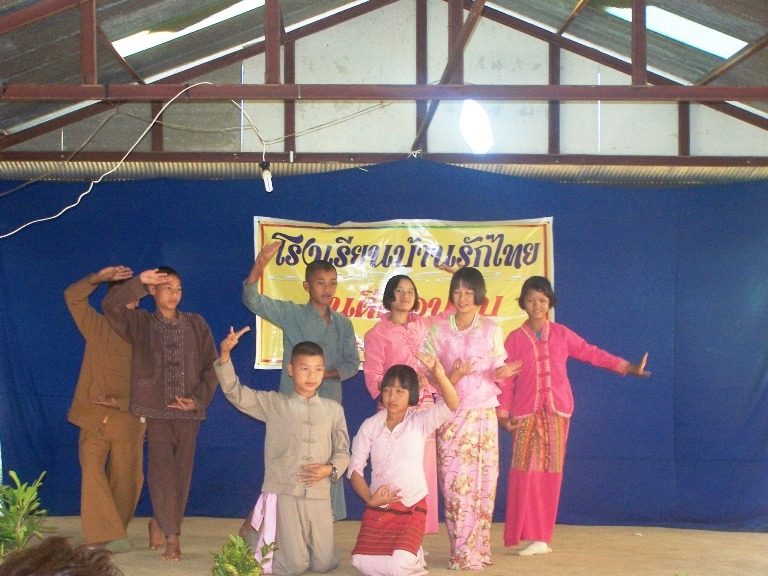 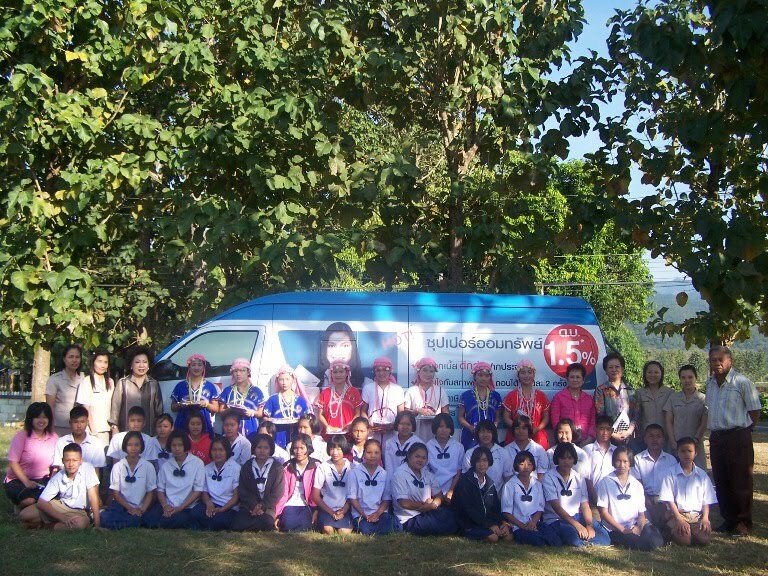 The annual follow-up on the progress of scholarship funds to needy students has been conducted by TISCO Foundation Colleagues in Maehongson, and Chiangrai, during November 23-27, 2009. 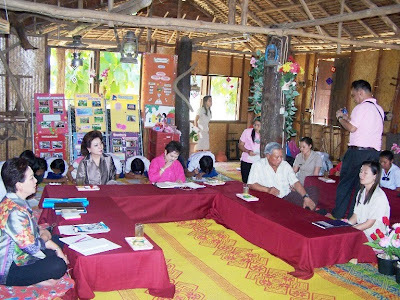 We have meeting with directors and teachers who in charge of our scholarships to discuss on how they handle our funds properly, and to hear about their students’ way of lives. 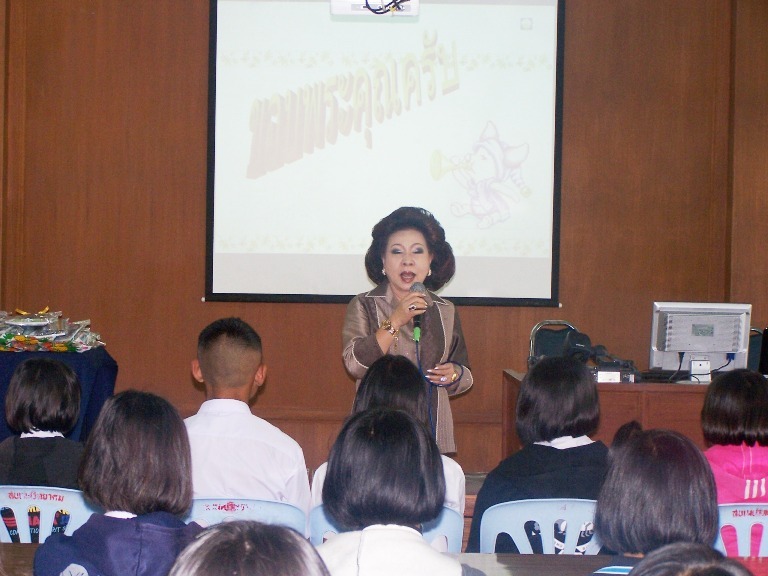 Meeting with students, we informed them on how to use fund in accordance with our regulations and to hear about their family lives. 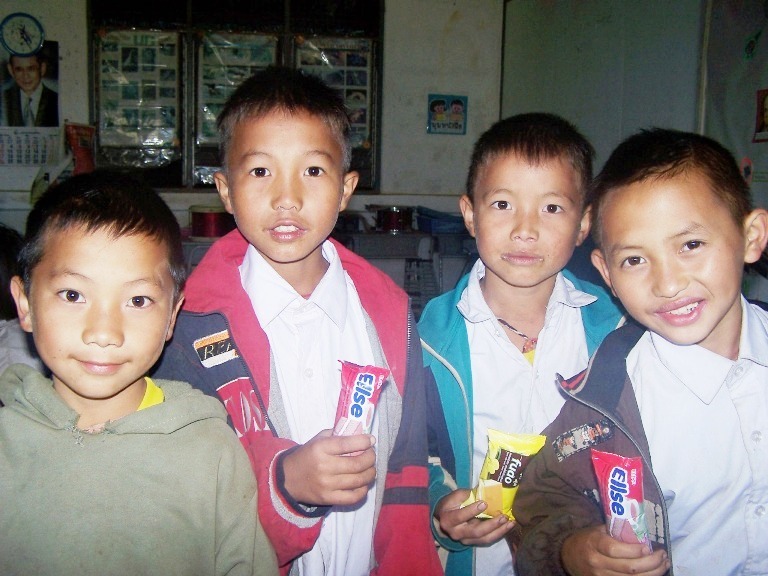 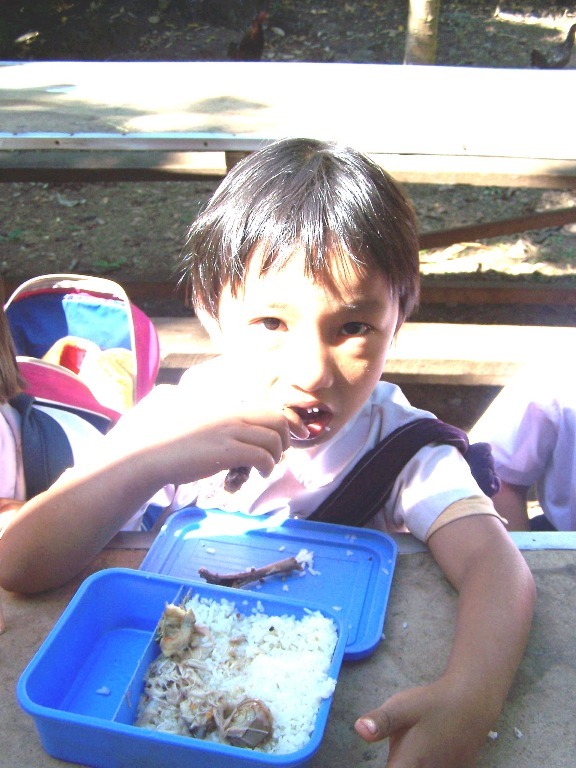 Students with happy faces when received cookies from us. We watched their dancing with their costumes on.